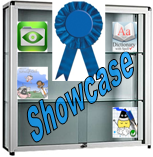 Showcased Apps represent a fine selection of informative, entertaining and useful apps that put excitement and sizzle on your iDevice! Here's our choice selection for last month! ~ Click the icon at the end of each post to view. Prices and ratings may differ from original post date. Developer Quote: "Corner My Photos is the #1 app with photo editing, photo effects, photo corners, stickers and sharing, all in one app Free!" Developer Quote: "Have you ever been in a real maze? Forget about all of the other maze games that you have seen before. 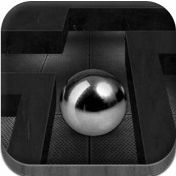 We invite you to a real maze experience with Reveal The Maze." Developer Quote: "Organize your whole life in one place with Life­Topix™. It is simple enough for your daily lists, notes, tasks, and more — and powerful enough for your most challenging home and work projects." LifeTopix: Calendars, To-do Lists, Shopping, Agenda, Notes, Checklists...Get Organized in One App! Developer Quote: "Lose weight, eat real food, and track your progress. Fooducate grades your food, explains what's really inside each product, and offers healthier alternatives." Developer Quote: "It's more than music, it's an interactive album experience. We invite you to explore Head in the Clouds, the new album from Los Angeles based rock quartet Warren Charles, and connect with the music in ways you've never imagined." Developer Quote: "Install the Purchase Warranty Tracker and never miss using a warranty or guarantee again." Developer Quote: "Tumblewords is an original blend of traditional word games and strategic puzzle games with a unique visual component involving some of our favorite artists." Developer Quote: "App Secret offers you a new way to protect your data and keep all the important information untouched. Use an array of lock options to securely protect the important data on your device and prevent unauthorized access."